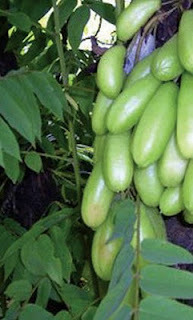 Cucumber tree (avverhoa bilimbi) which taste sour fruit thrives in areas that get a lot of direct sunlight but enough air humidity. Even without the need for large tracts of land. Is often used as a cooking ingredient, but it turns out you know a lot of health benefits. What is it? * Cook 4 cups of water, add seeds cucumber tree and srigading. Take half a handful of leaves cucumber tree and mash together with the garlic 3. Compress on the part of the mumps. Boil the leaves, flowers, and fruit cucumber tree in the same amount of boiling water for half an hour, then drink the water. Or you can also boil a handful of leaves and flowers, as well as two pieces cucumber tree with 2 cups of water with sugar cubes until the water the rest of the half. Strain and drink 2 times a day. 6 pieces cucumber tree puree and boiled with a glass of water until the remaining half. Strain and drink twice a day. Mash a handful of cucumber tree leaves until smooth and add whiting and rub it into the affected part. Boil 10 flowers cucumber tree, tamarind and palm sugar with 3 cups of water until the water remaining 3/4 sections. Filter and drink twice a day. Chew 5 pieces cucumber tree with salt. Repeat several times until the pain disappeared.